Seed Oil SA will in conjunction with Eco Fire & BBQ exhibit products at the first ever Cape Holiday Show in Stellenbosch, Western Cape. 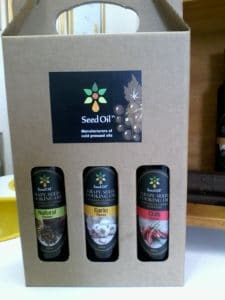 Through our participation we at Seed Oil SA are able to showcase our products to directly to YOU, the consumer. “I believe that part of a company’s Marketing Strategy should include shows like the Cape Holiday Show. It is a great platform where we can interact directly with the public and receive feedback first hand. This direct feedback is very valuable as it helps us to ensure that our products are in line with our consumers’ needs”, says Steven de Villiers, Sales Manager at Seed Oil SA. The public will be treated to a tasting table where they will be able to taste and smell all the different flavours in the Grape Seed Cooking Oil range. We will display all our flavours Natural, Garlic, Chilli, Rosemary, Lemon and Black Truffle. 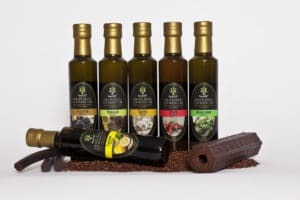 We are really looking forward to inform the public on the health benefits of cooking with Grape Seed Oil and at the same time give them the opportunity to taste, smell and buy these products. The products will be available at the Show in single bottles or in a gift pack, which will contain 3 flavours(of your choice). This is a nice gift for yourself or someone special. If you thought a Grape Seed is just a seed, you will enjoy the experience of visiting us at the Cape Holiday Show, Stand S8, to learn more about the whole cycle (from the growth to end products) of the Grape Seed, what we do with this tiny seed and get to sample our exciting range of Grape Seed Oils. Click on the photo below to buy your tickets online and receive preference entry at the gates.